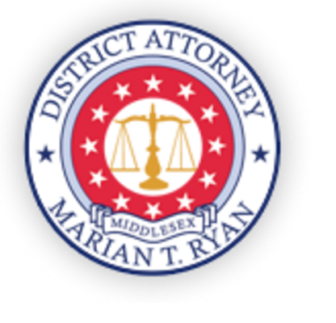 A grand jury indicted three Watertown men on drug-related charges, Middlesex District Attorney Marin Ryan’s office announced. The three men — Dominic Davis, Akeem Mapp, and James Paul — were arrested in June after a joint investigation by the Watertown Police and the Suburban Middlesex County Drug Task Force. Their home was raided by a NEMLEC SWAT team. The raid found cocaine, methamphetamine, ecstasy (MDMA), Ketamine, marijuana, three firearms, and approximately $10,000 in cash. Akeem Mapp,29, of Watertown, was charged with possession with intent to distribute cocaine, subsequent offense, and possession with intent to distribute a Class D substance, subsequent offense. The Assistant District Attorney is Robert Meltzer. James Paul,28, of Watertown, was charged with trafficking over 36 grams of cocaine, trafficking over 36 grams of methamphetamine (2 counts), and possession with intent to distribute a Class B substance. The Assistant District Attorney is Robert Meltzer. How about an address for these 3 “Watertown men” who I doubt grew up in Watertown? It’s all about the wording you use and perhaps the title should have use the words “Watertown Residents”. Either way, it would not surprise me if any of the three men did grow up in Watertown. It would be interesting to know if any of them did or did not. 51 Riverside St., according to news reports at the time. Good work by the Watertown Police, Middlesex Drug Task Force and the Swat Team!